In October 2006, Aaron Davis Hall moved into its new home in the Gatehouse and became known as Harlem Stage. This breathtaking structure, designed by Frederick S. Cook in a Romanesque Revival style, was part of the Croton Aqueduct water system. 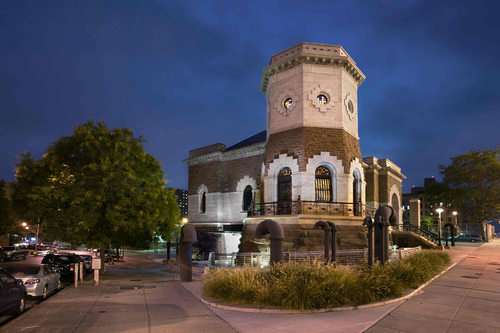 In 1981, this extraordinary structure was designated a landmark and listed on the National Register of Historic Places. 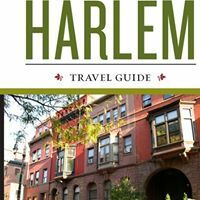 Harlem Stage is recognized for its creation and development of new works by performing artists of color. Programs include: Waterworks, which supports the creation of significant new works and provides a forum for dialogue between artists and audiences; Harlem Stage on Screen, which supports the works of independent film makers; Harlem Stride, which offers a laboratory for musicians to explore historic and new trends in music, develop collaborative projects, participate in humanities activities with audiences, and present unique and exceptional music programs; E-Moves, an annual program where emerging choreographers showcase their work, which ranges from modern dance to contemporary ballet, hip-hop, and dance theater; SundayWorks, which is a free reading series for artists to present new works; Harlem Stage Partners Program, which supports co-presentations with significant artists and organizations; and Fund for New Work, which provides direct support to emerging artists through commissions, subsidized rehearsal space, and/or workshop presentations. Visit the recently reopened Aaron Davis Hall they will provide quality low cost performances for the community. Then you can also explore some of New York City’s beautiful Collegiate Gothic-designed buildings on the City College of New York campus. Transportation: Bus—M4, M5, M11, M100, M101 to 135th Street. Subway—A, B, C, D to 125th, 1 to 137th St.